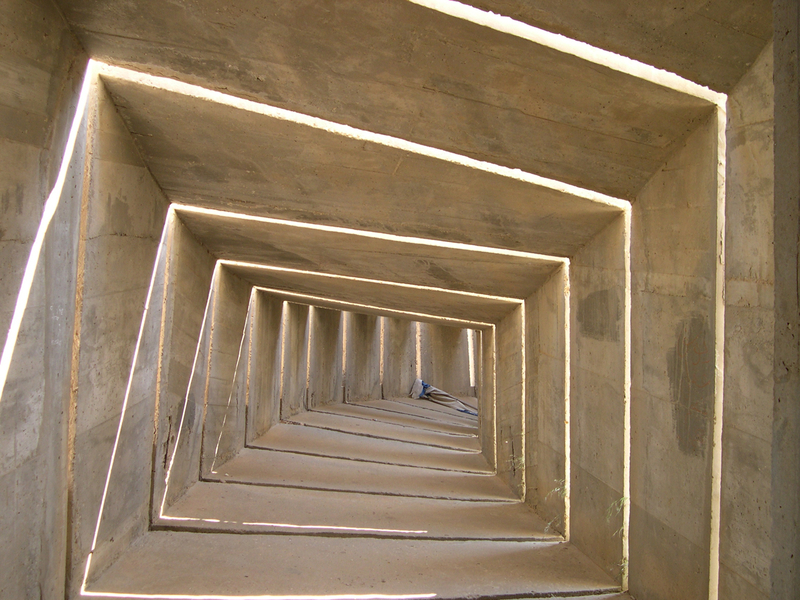 On a hill to the east of the city of Beersheba in the Negev desert is a monument in concrete by Israeli sculptor, Dani Karavan. The memorial is to the soldiers of the Palmach’s Negev Brigade who died in the 1948 Arab Israeli war. This photo is a closeup of one of the 18 sculptural parts that make up the monument, a tunnel that appears as a spiral of rectangles – someone had left an Israeli flag on the floor. The technical details – the photo was taken with a Nikon E4300, a digital point and shoot camera in March (ISO 100, 8mm, F2.8 at 1/37 sec). This entry was posted in Art, Photography and tagged Beersheva, Dani Karavan, Negev on April 20, 2013 by Shmuel Browns.